I just recently had a customer ask for a single SUT to match three different cartridges with a range of internal impedances from 1.5 to 15 ohms. 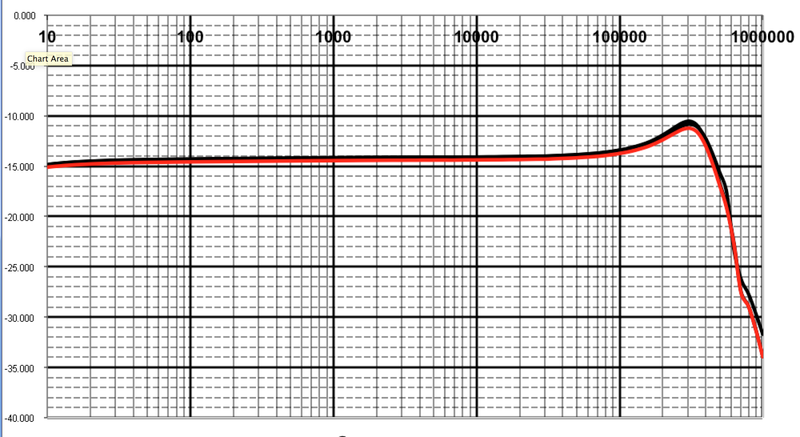 While that range is seemingly small one only needs to look at the frequency response plots to see why I like to match a impedance to a transformer. 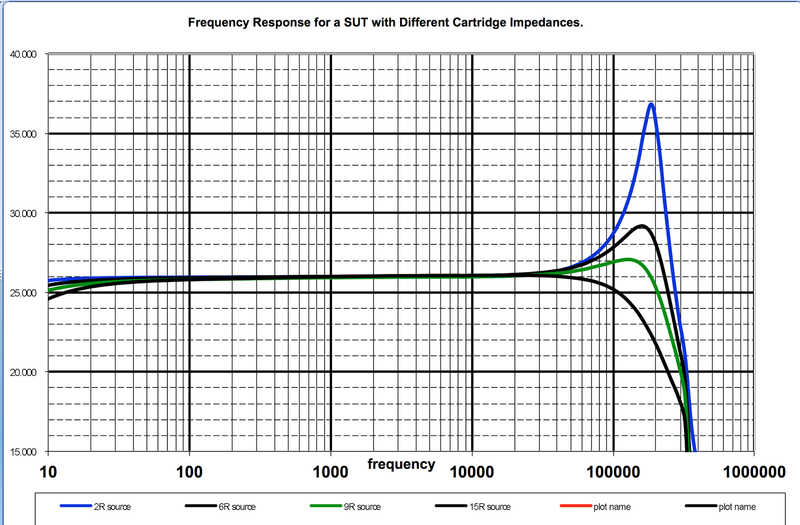 These are the plots for 4 different cartridges (2r, 6r 9r and 15r) all feeding the input of one of our phono stages. 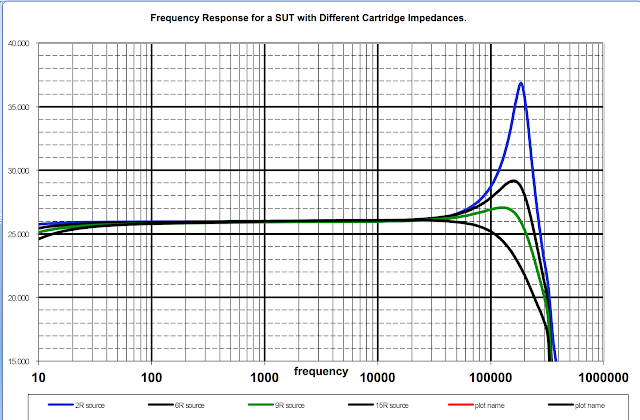 This particular SUT was designed for a 10 ohm cartridge and once that is known I was able to wind it so that the cartridge stayed well behaved to beyond 100Khz and only had a slight attenuation at 10hz. I would be comfortable uning this cartridge in the 6-15 ohm range but if I were to drive this transformer with a low Z cartridge like a Lyra Olympos SL, suddenly a 10dB peak would appear above the audio band. In this case, since this peak is happening at close to 200Khz one could argue it is sonically benign but armed with the knowledge that a 2 ohm cartridge will be the source I simply adjust things to minimize the out of band resonances like in the plots below. I know there are those that will argue that adding a snubber network to the first transformer driven by a 2r source can eliminate the ringing and give a very beautiful frequency plot but somehow doing that also steals a fair bit of the music along the way. For more of my thoughts on loading SUT's take a peek at this.